From "Who's Afraid of Virginia Woolf" to "Get Out," TheWrap lists 11 films that depict a situation in which dinners (or weekends) go wrong. 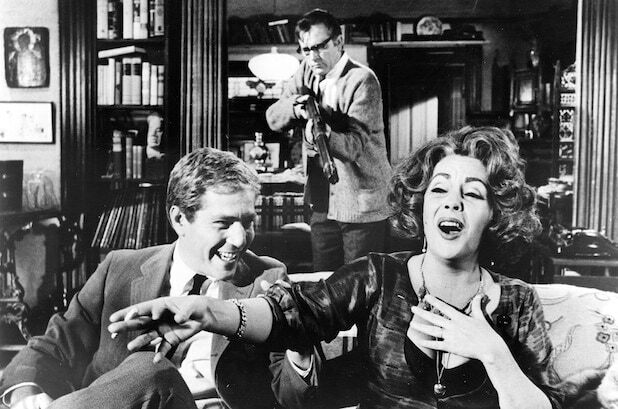 This 1966 classic "Who's Afraid of Virginia Woolf?" with famous flames Elizabeth Taylor and Richard Burton could easily qualify as the original "Dinner Party From Hell," when a couple perform their private crises in front of two friends over a meal. 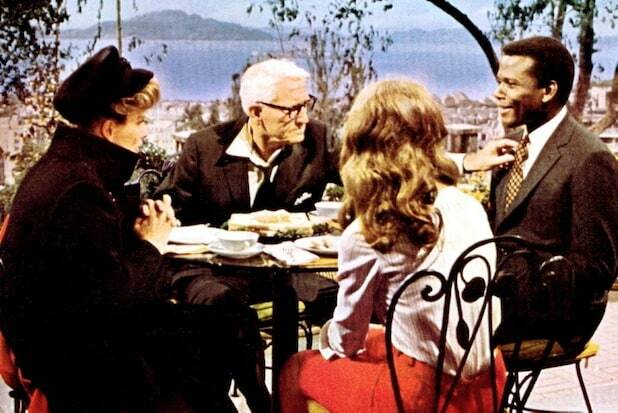 1967's "Guess Who's Coming to Dinner" isn't necessarily a thriller, but it's still a lasting symbol of the pain, conflict and true social awkwardness that arises when breaking bread with others -- and it further added to the legends of Sidney Poitier, Spencer Tracy and Katharine Hepburn. In 1985's "Clue," the famed parlor game is brought to life with a very formal dinner at a patron's home that leads to murder and mayhem for Miss Scarlett, Colonel Mustard and Professor Plum. The Manhattan transplants living in a haunted New York country house in the 1988 classic "Beetlejuice" throw a dinner party to impress their friends. The undead, Alec Baldwin and Geena Davis, have different plans. The underrated 1995 indie gem "The Last Supper" boasted an eclectic cast in Cameron Diaz, Courtney B. Vance, Bill Paxton and Annabeth Gish. It follows a group of ultra-liberal housemates who begin an odd tradition of inviting right-wingers and zealots for dinner -- and poisoning them for dessert. 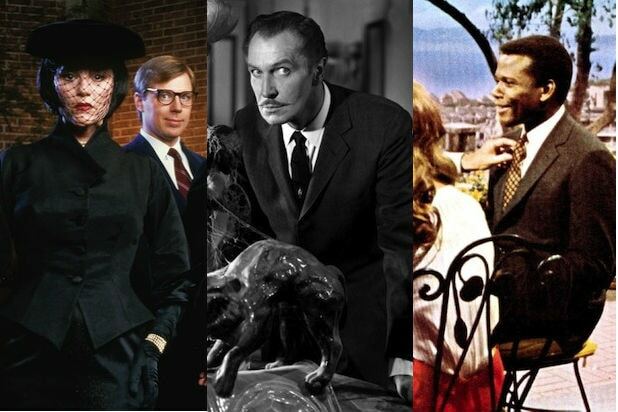 1999's "House on Haunted Hill" might be a horror classic, but it certainly inspired dozens of copycats over its basic premise -- invite a handful of seeming strangers for a weekend getaway, and terrorize every last one of them. Robert Altman's 2001 period film "Gosford Park," about a couture-laden weekend hunt in the English countryside, becomes and upstairs/downstairs meditation on class (and, uh, murder) in one of his best and final films. An aspiring employee (Paul Rudd) has to recruit an embarrassing dinner guest (Steve Carrell) at the cruel request of his boss in 2010's "Dinner With Schmucks." In 2013's "August: Osage County," the reconvening of an impossibly dysfunctional mid-Western family went from Pulitzer Prize winning play to the big screen in 2013 -- and features a wrenching luncheon confrontation that ends in a electric physical brawl between Meryl Streep and Julia Roberts. In this Sundance heatseeker, dark things unfold in "Complete Unknown" when Michael Shannon throws a dinner party, and swears he's met a guests mysterious plus one (Rachel Weisz). She denies their connection, but the truth slowly unfolds. "The Invitation" starring Logan Marshall-Green, Michiel Huisman and John Carroll Lynch couldn't feature a worse dinner party. A group of friends realize their hosts are part of a controversial new cult. Not quite a "dinner party" from hell, but a weekend from hell. An interracial couple (played by Daniel Kaluuya and Allison Williams) go to visit her family's estate for the weekend. Once there, he finds out her family had other plans for him.